Grade: B 6, B 7/ B 7M, B 16, 2, 2HM, 2H, GR 6, B 7, B 7M. Standards: ASTM / ASME A/SA 193 / 194 GR. 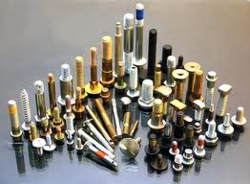 Our product range also includes one of the most excellent and robust quality Industrial Fasteners. 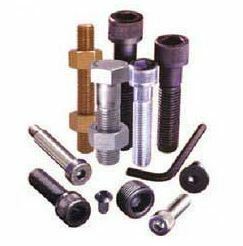 These Industrial metal Fasteners are made up of very high grade raw materials which are very tough and high tensile and are very durable and long lasting.